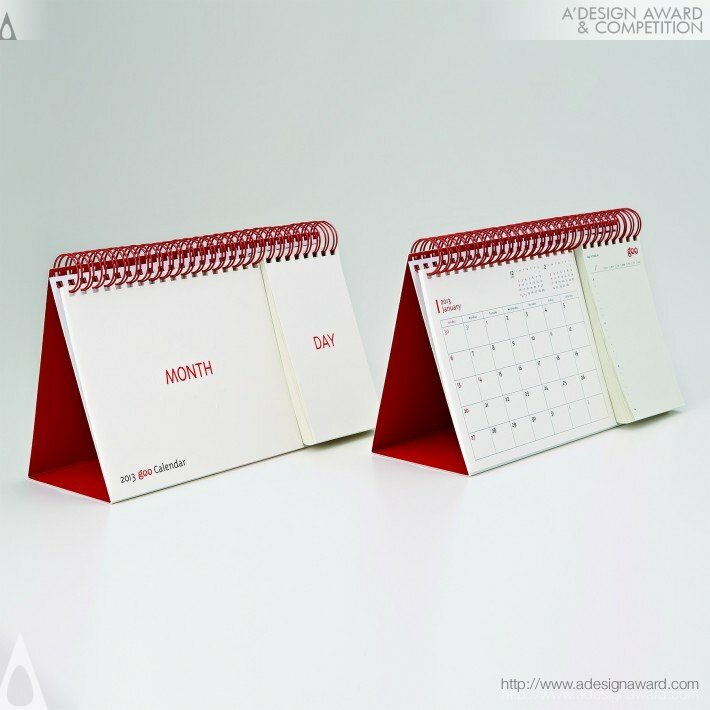 A unique and playful promotional calendar developed and produced for the portal site goo harnesses paper textures and gives thought to functionality. 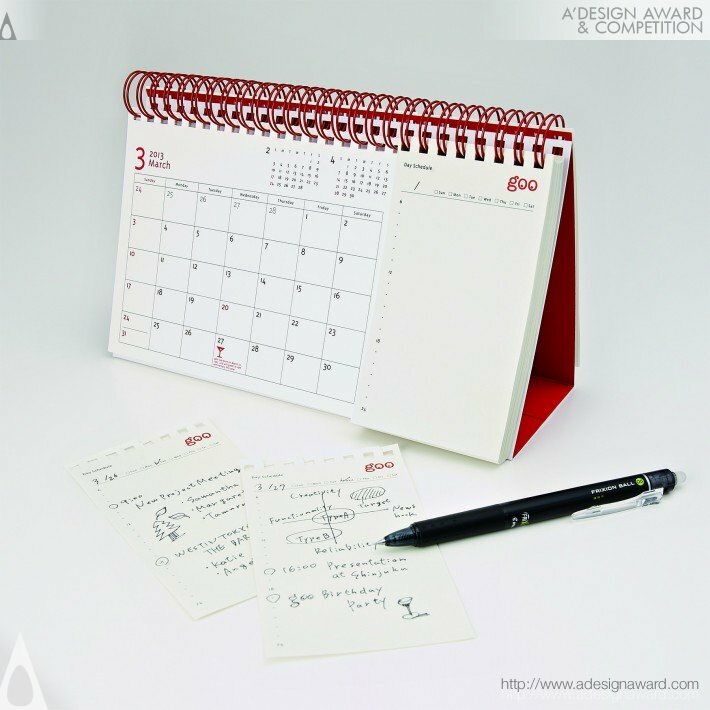 This 2013 edition is a calendar and schedule organizer rolled into one with space for writing in yearlong plans and daily schedules. 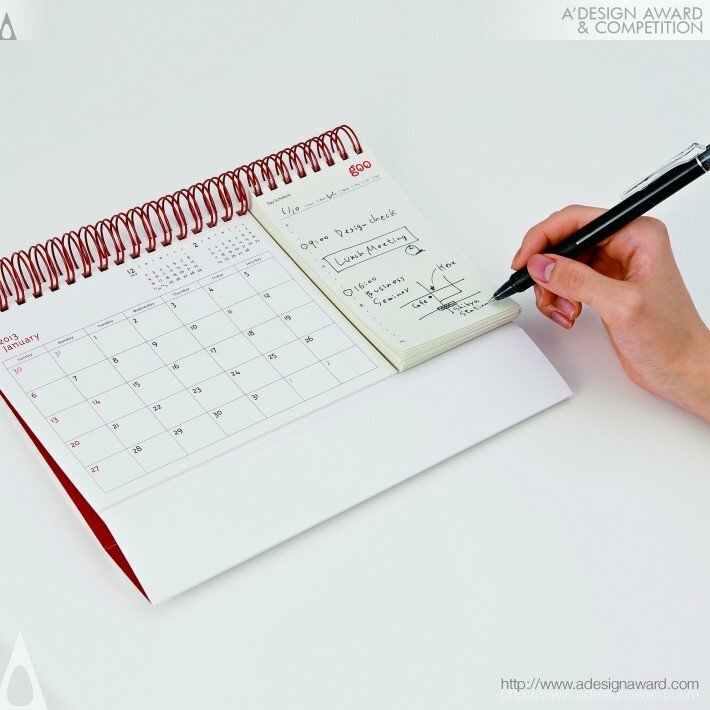 Thick quality paper for the calendar and low-cost paper that’s just right for jotting notes for the schedule organizer were carefully selected and the contrast that was created fits as part of the calendar design. 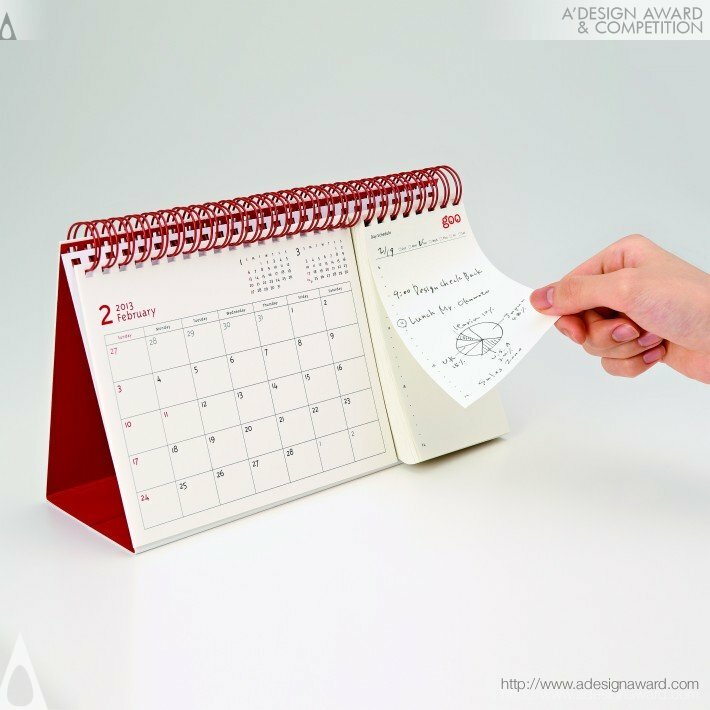 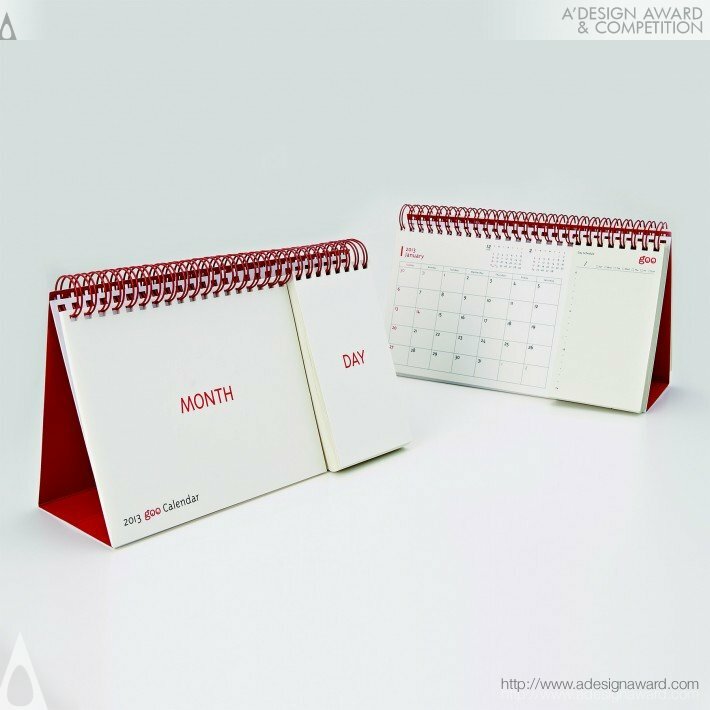 The added feature of a fill-in schedule organizer makes it perfect as a user-friendly desk calendar.